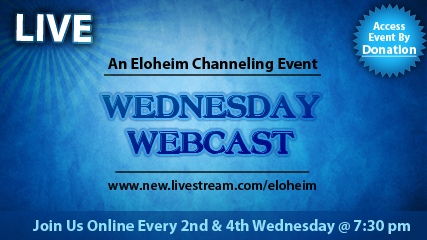 Watch our webcast! 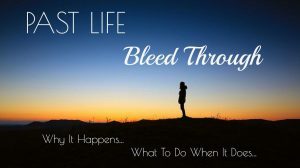 If you are in the Sonoma, CA area, call 707 938 3418 for details on joining us in person! 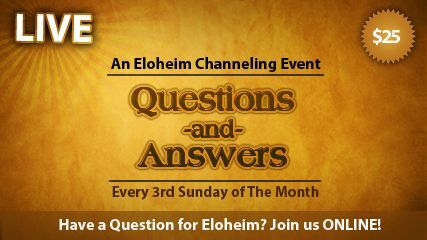 Ask a question during our monthly Q&A with Eloheim. 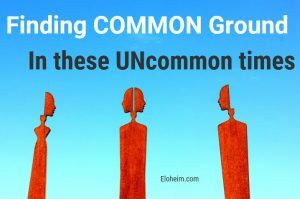 Third Sunday of each month. Follow this link to register. 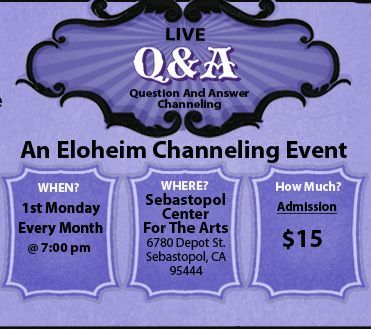 Join us for an Eloheim channeling LIVE in Sebastopol! First Monday of each month. Sebastopol Center for the Arts 282 South High Street Sebastopol. First Monday of each month, 7:00pm, $15, We use the side room. Enter on the South side (the first parking lot you come to).